Hours of operation: The fitness center is open 24 hours, 7 days a week for members via a fingerprint scanner that will open the front door at anytime. Signing up for membership with the Fitness Center is very easy. Individuals interested in membership can stop by the fitness center and fill out a new member packet with a staff member or download the membership packet and bring it into the fitness center. A staff member will look it over, make sure everything is signed, and set up fingerprint access for the new member. Fingerprint access allows the new member to use the facility after staffed hours. College and university students from BMCC and LSSU who can prove current enrollment are eligible for a membership fee of $20.00/semester (fall/spring/summer). Fill out the Health History Questionnaire to apply for membership. Call WMH Rehabilitation Center to leave your name and number and the instructor will return your call to answer any questions regarding the class content. Nancy’s yoga class is a calming, stress-relieving class to stretch and strengthen the body gradually. Emphasis is on building awareness of the breath and the body. Poses are practiced at a slower pace with attention to alignment and detail. Recommended for anyone looking for a soothing, relaxing, and restorative experience, including those new to yoga or dealing with special concerns or injuries. Please feel free to contact Nancy with questions at (906) 440-1066. Nancy began her yoga journey about 10 years ago as she was struggling with some physical and emotional challenges. Recognizing the healing powers of a personal yoga practice, she decided to move more deeply into her practice, completing her 200 hour yoga teacher training in 2016. In addition to the beauty and power of the poses, Nancy is particularly drawn to the breath work of yoga. It has taught her to slow down and focus on her breath in nearly any situation, whether needing to be energized, calmed, or centered. Nancy has learned that returning home to the breath is one of the simplest, yet profound, ways to care for oneself. Nancy's personal asana yoga practice is quite gentle due to some physical limitations in her body. She has learned to listen to her body and honor its wisdom; no longer trying to push beyond its limits. Although her practice is gentle, Nancy is still able to enjoy the many health benefits - to body, mind and spirit - that yoga has to offer. Her intention is to spread the message that yoga is truly available to everybody! She looks forward to sharing its benefits and growing with you in a safe, restorative environment. Our staff and students offer one-on-one training as well as designing individualized programs geared towards the specific goals the client is seeking. Manipulation: increasing range of motion (ROM); induces flexibility and/or stability; facilitates movements and improves function. 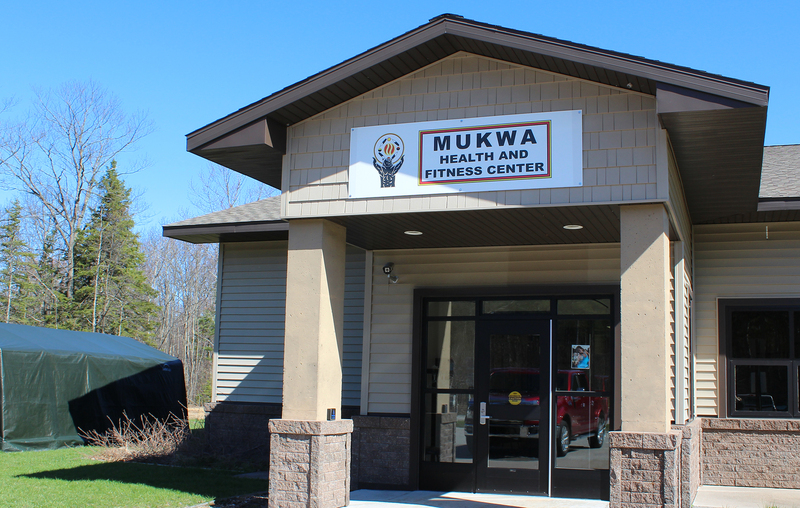 Physical Therapy is available per Doctor’s request or prescription and is conveniently located within the Mukwa Health and Fitness Center. Contact War Memorial Hospital for more information (906 635-4460 or 906 248-9009 ext. 2). Inquire within as classes continually change throughout the year. We now offer 24/7 access year round. When a client completes the application and makes the first payment, the new member will be required to scan his/her fingerprint, which is the members' personal key code to allow access that is convenient to the member. The Bike program is BACK!!! After a long winter, the fitness center is happy to announce that the bike share program has returned. Anyone is welcome to stop by and borrow a bike for their disposal for 30 days, at NO COST. A few changes to the program include: a person can only borrow the bikes for a total of 30 days at a time. They are welcome to re-borrow the bike after a 2-day wait period. This is to ensure that ALL members of the community have an opportunity to take advantage of the program. There is a bit more paper work now; these added forms are to ensure that the bikes and all parties are in agreement of how the program works and what the responsibilities of both parties are. On December 2, 2009, Bay Mills Community College’s Mukwa Health & Fitness Education Center held its official grand opening, under the direction of BMCC President Michael C. (Mickey) Parish. Prior to the opening of this new facility, the Bay Mills Indian Community operated the Waishkey Fitness Center in the Waishkey Building. Primary funding for the construction of the Center was made available through a U.S. Department of Housing and Urban Development (HUD) Tribal Colleges and Universities Program (TCUP) grant; supplemental resources were accessed through USDA Rural Development funds. Land for the new development was provided by the Bay Mills Indian Community. Design and engineering work for the project was completed by Integrated Design, Inc. out of Marquette, and General Contracting and Construction duties were handled by Roy Electric/Nomad Construction from Sault Ste. Marie. Under the administrative oversight of BMCC’s Land Grant Department, the Mukwa Health & Fitness Education Center was developed to serve three primary functions: 1) provide a home for BMCC’s Exercise Science academic program and learning laboratory for students studying in that program; 2) provide a high quality community health & fitness center for members of the Bay Mills Indian Community and their neighbors; and 3) provide a local home for physical rehabilitation services provided by War Memorial Hospital.